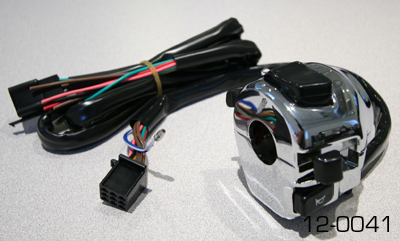 K&S 12-0041 universal handlebar switch. K&S 12-0041 universal handlebar switch: back of card packaged with the switch. A separate wire will need to be run to ground. 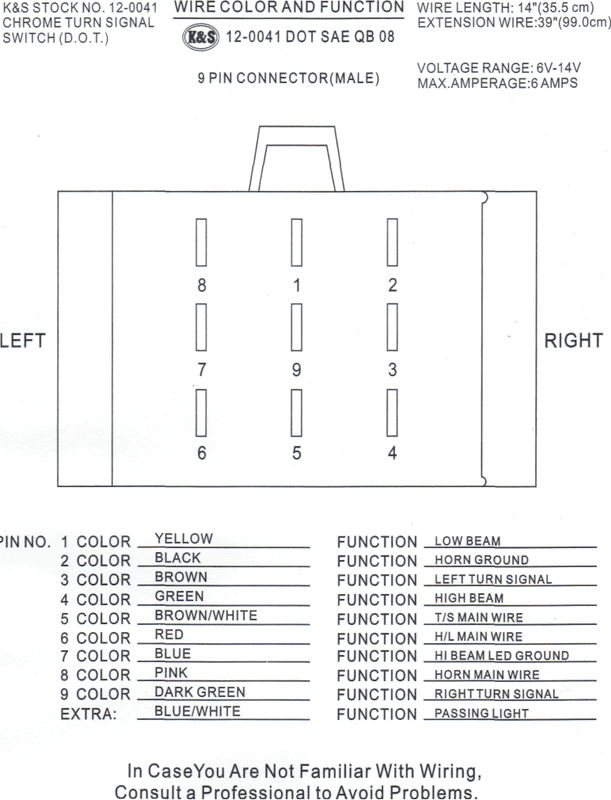 Running lights / parking lights (tail light, gauge illumination lights, etc.) None. This switch does not have off/park/on functionality. A separate wire will need to be run from the distribution panel to an open circuit on the fuse panel. 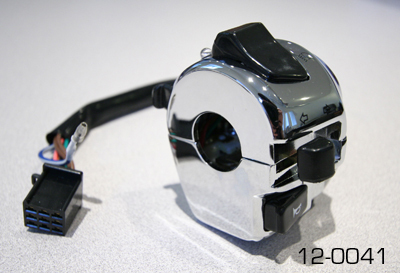 None - original Moto Guzzi switch does not have a high beam indicator integrated into the switch. None - original Moto Guzzi switch does not have a passing light feature. A separate wire will need to be run to an open circuit on the fuse panel. Since the 12-0041 switch lacks a separate parking light function, it is not the best choice for use with the Moto Guzzi V700, V7 Special, Ambassador, 850 GT, 850 GT California, Eldorado, and 850 California Police models.